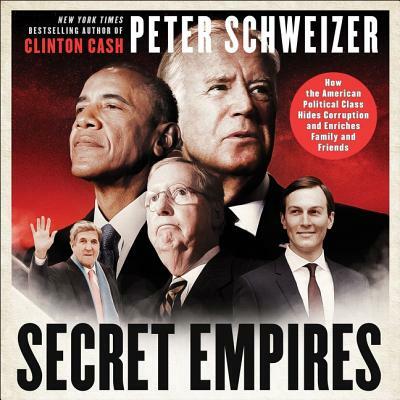 Peter Schweizer has been fighting corruption--and winning--for years. In Throw Them All Out, he exposed insider trading by members of Congress, leading to the passage of the STOCK Act. In Extortion, he uncovered how politicians use mafia-like tactics to enrich themselves. And in Clinton Cash, he revealed the Clintons' massive money machine and sparked an FBI investigation. An American bank opening in China would be prohibited by US law from hiring a slew of family members of top Chinese politicians. However, a Chinese bank opening in America can hire anyone it wants. It can even invite the friends and families of American politicians to invest in can't-lose deals. President Donald Trump's children have made front pages across the world for their dicey transactions. However, the media has barely looked into questionable deals made by those close to Barack Obama, Joe Biden, John Kerry, Mitch McConnell, and lesser-known politicians who have been in the game longer.